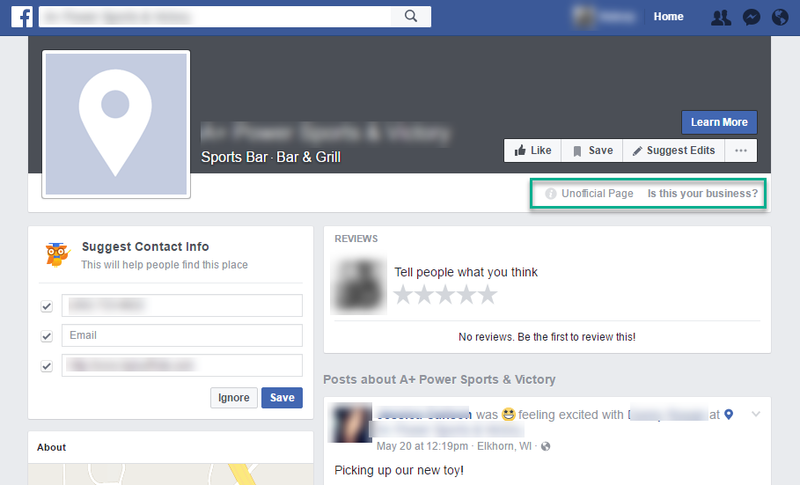 A Facebook Page may exist for your dealership even if someone from your business didn’t actually create it. 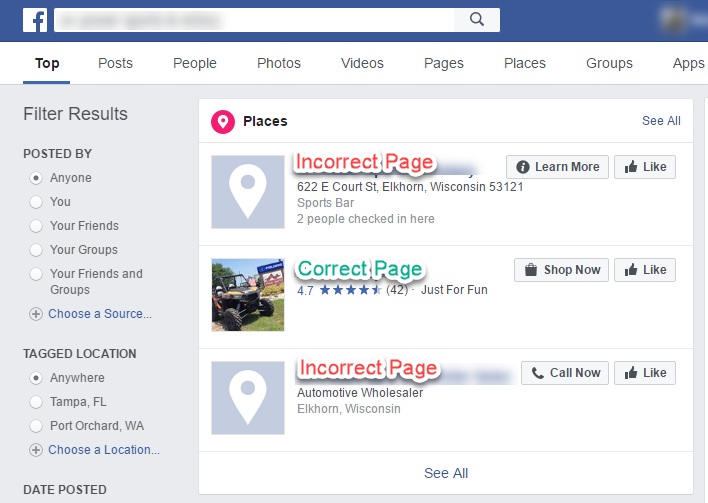 For example, when a person checks in to a place on Facebook that does not have an official Page, an unofficial Page is automatically created to represent that location. If the Page is unmanaged, you’ll see Unofficial Page below the Page’s cover photo. 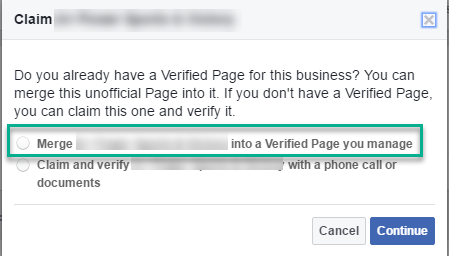 You can request to claim the Page and become its admin, or you can merge that Page into a Page you already manage for your dealership. Keep in mind that you may be asked for information to verify your relationship with the business, such as business phone number, business email or business documents. Note that Pages that represent geographic locations (ex: New York City, Tampa, New Zealand) can’t be claimed. How to find your additional unclaimed dealership Pages? In the Facebook search bar, type in the dealership’s FULL name. Your search will populate with any additional Pages tagged under ‘Places’ or ‘Pages’. Open up the INCORRECT Page(s) in separate tabs on your browser. This will help to save this search open on a different tab so that you can navigate back to your search results when attempting to claim any additional Pages. Once you are on the Page, click the button “Is this your business?” next to the words Unofficial Page. Select the first option and follow the instructions prompted on the screen. Finally, if you want to Verify your dealership Page, click this blog to learn how to complete that process! If you have any additional questions about merging your dealership Facebook Pages, please reach out to us at hello@lotvantage.com and our Facebook experts will be happy to assist you with this process.